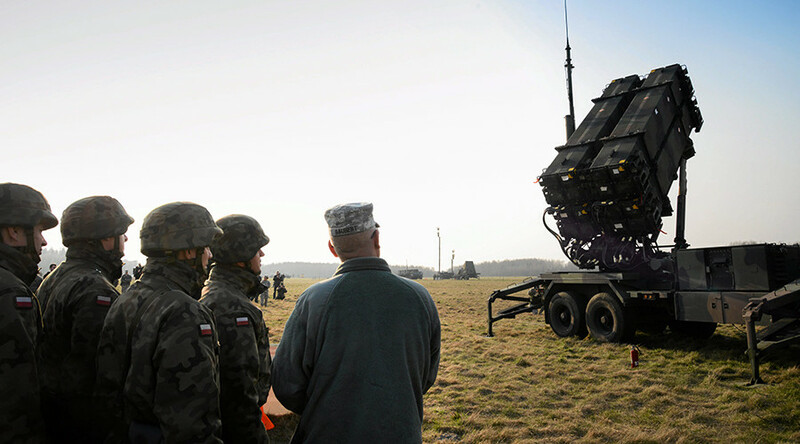 US anti-missile systems will be placed in Poland despite world powers reaching an agreement on Iran’s nuclear program, John A. Heffern, US Deputy Secretary of State for Europe and Eurasia, said. “The deal with Tehran doesn’t include missiles, therefore the threat remains,” Heffern told Polish Rzeczpospolita newspaper Tuesday, adding that he was speaking about Iranian rockets without nuclear warheads. According to the US diplomat, the construction of AMD components in the village of Redzikowo near the northern Polish town of Slupsk starts next year – as scheduled – and will be completed in 2018. Washington’s plans to install anti-missile systems in Eastern Europe have been one of the biggest stumbling blocks in US-Russia relations. Moscow refused to believe American explanations that the shield is needed to counter a possible attack from nuclear-capable Iran, considering it a threat to Russia’s national security. After Tehran agreed to curb its controversial nuclear program in exchange of easing of international sanction, Russia’s foreign minister, Sergey Lavrov, said that Washington’s AMD plans had no justification anymore. “We all probably remember that in April 2009 in Prague [US] President [Barack] Obama said that if the Iran nuclear program issue is sorted out, then the task of creating the European segment of the missile defense system would disappear,” Lavrov stated at a press conference in Vienna. In his interview with Rzeczpospolita, Heffern also said that NATO isn’t going set up permanent bases in Poland. “At the NATO summit in Warsaw in July next year, the adoption of resolutions to place permanent NATO bases in Poland will not take place,” the Deputy Secretary of State said. The Polish government has repeatedly asked to deploy NATO military bases in the country due to the Russian threat. “We will be [in Poland] for as long as is necessary,” Heffern said, promising that the US forces will maintain a “permanent rotating presence” in Poland. Since Russia’s reunion with Crimea and the start of the military conflict in eastern Ukraine last spring, NATO forces have sharply increased military exercises along the Russian border – in the Baltic States and Eastern Europe, organizing frequent drills in the region. Russia responded with an increased number of flights of its Russian long-range ‘Bear’ or Tu-95 bombers in the vicinity of the airspace of NATO members and large-scale exercises on its own territory.